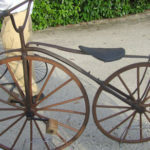 Hearing it might shock the average rider of your swoopy, parrot-painted Italiano-alluminio wonderbike, but many such bikes are actually way, way old skool. 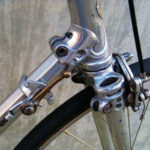 In fact they’re so old skool they still spell it “olde school.” Aluminum frames? 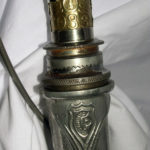 Octagonal tubes? 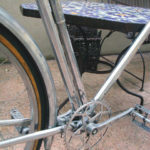 Coupled bikes that disassemble with a few twists of a wrench for easy traveling? How about a sub-13-lb. 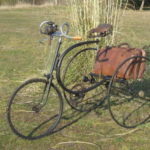 featherweight, ready to ride all day long? Nothing new, baby! 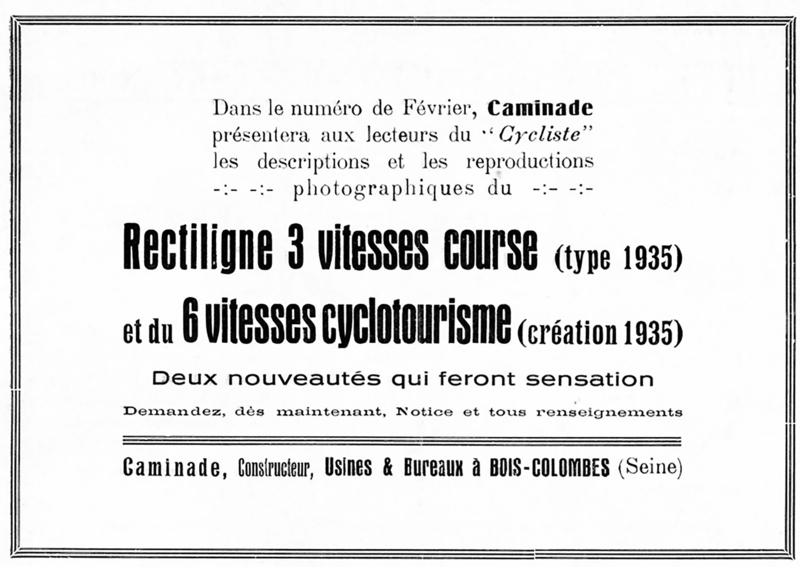 Pierre Caminade had those numbers dialed way back in 1936. 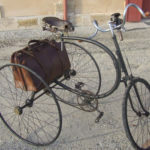 And he wasn’t even first with most of those “firsts.” What goes around really does come around, and history repeats itself with puzzling regularity for so many bicycle inventions to seem so new. 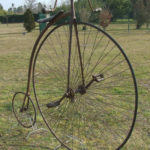 Indeed, those eternally forgetting their past seem ever doomed to repeating it, too often then patting themselves on the back for reinventing it, smug and clueless about the real innovators. 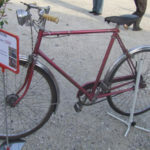 But for at least fourteen years in the mid-20th century, Caminade produced ultra-lightweight aluminum-magnesium alloy bicycles using ornate cast-aluminum lugs and other components he designed, continuously improving and refining those designs until retirement a scant twenty years before the 1970s Bike Boom. Real shame only a few die-hards and Yoyo le Clown seem to remember. 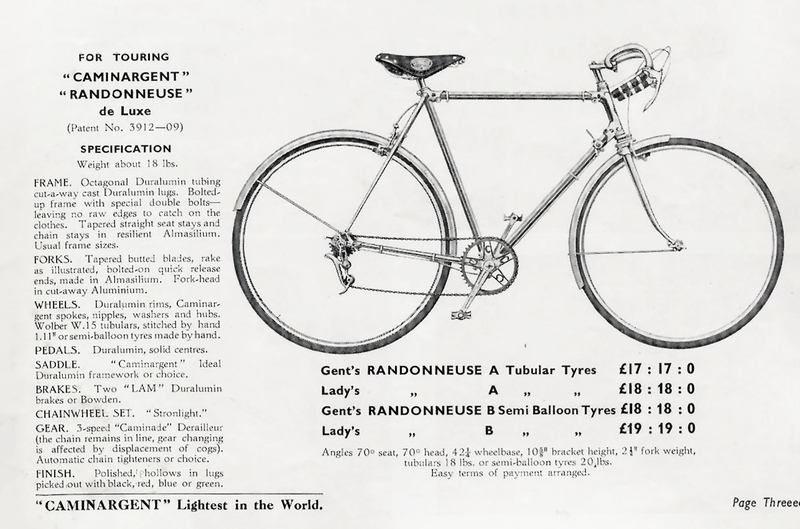 Bicycle connoisseurship is hardly a universal characteristic among clowns, not unlike clown appreciation going unshared among all cyclists. 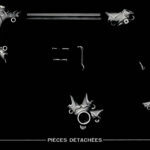 Lacking hubris in either regard makes Yoyo le Clown so wonderfully exceptional, that and his beloved Caminargent. 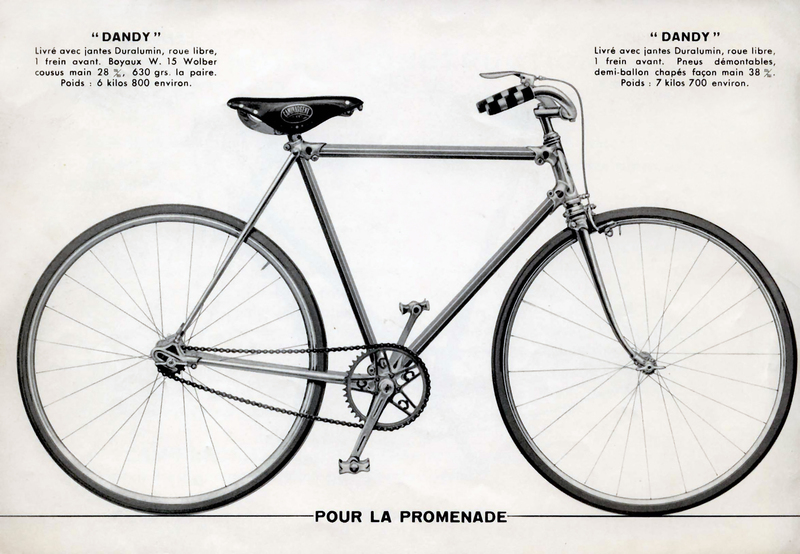 Starting in 1934, Caminade used the brand name Caminargent, combining his surname with the French word for “silver,” in reference to the sparkly sheen on the aluminum alloy used to construct the skeletons of his machines. 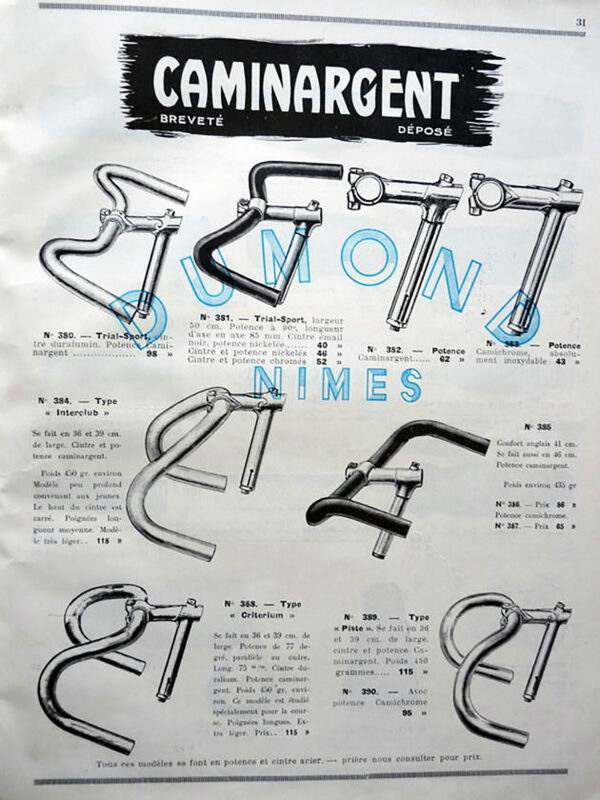 The first known reference of the Caminargent name was for a handlebar included in a France-Sport bicycle ad that appeared in the September 21, 1934 issue of l’Aéro newspaper. 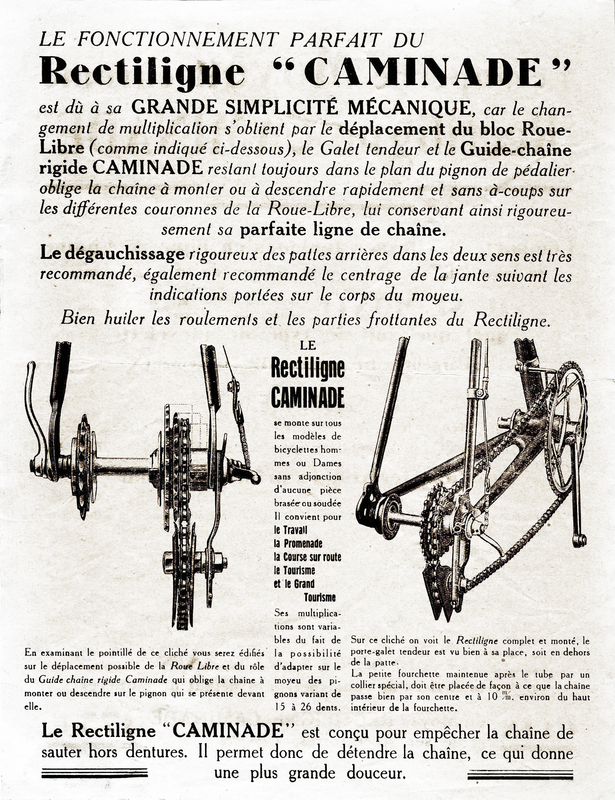 l’Aéro was a neat weekly newspaper committed to mechanics and engineers of sporting machines. 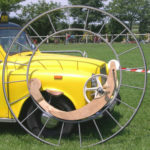 On the job, Yoyo Le Clown is a dedicated bicycling clown and surprisingly committed-looking one at that. 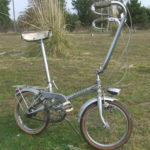 While performing his act, Yoyo rides a variety of ridiculously silly bicycles. 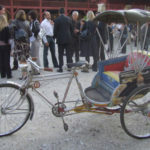 What few in the audience realize is that Yoyo is also a serious collector and bona fide “bike fanatic,” showing bikes in countries worldwide, including: Thailand, Viet Nam, China, Holland, Germany, England, Canada, and even Turkey. 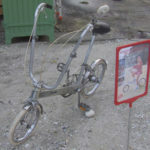 Perhaps it’s fitting a clown has preserved one of these advanced but somewhat eccentric classic bikes. That so many others failed to is humorously regrettable. 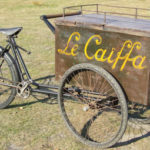 What was it about the Caminade, among all the wild variety of antique and classic bicycles from which a clown might select, that drew and held Yoyo’s attention? 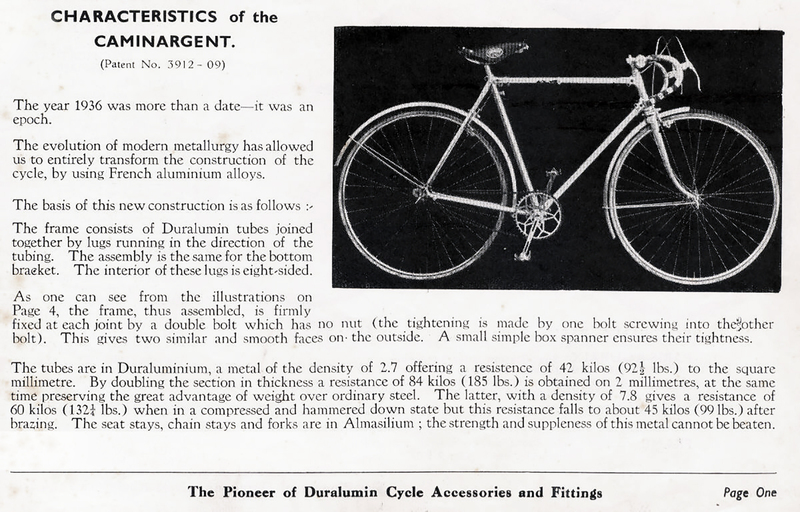 After all, Caminade was not even the first to build an aluminum bike: Nicholas Barra beat him to it by a couple of months, and a prototype aluminum bike had been built by Rupalley as early as 1896, with Delage making a short run of lugged alloy bikes in 1933 as well. 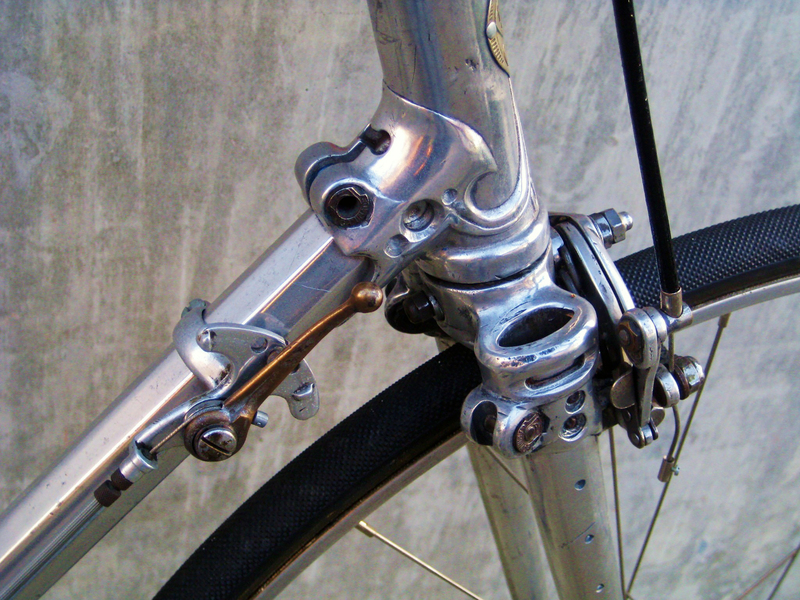 And what drew Caminade to the fairly new metal? 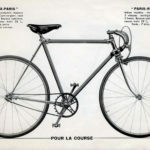 After all, he had been quite successful working in steel for several years, building track bikes and select components like handlebars and rims for the most part, and developing a strong reputation among Parisian speedsters. 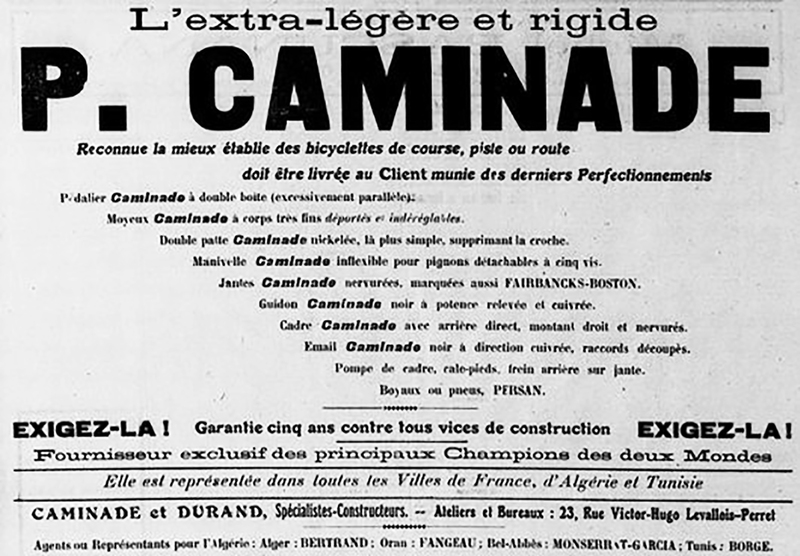 Monsieur Caminade opened his first retail bicycle establishment sometime around 1910, at the age of 31. 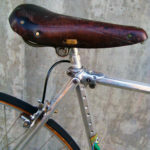 His core market at the time was comprised of racer boys from the Buffalo Velodrome, and Caminade worked in steel well enough to develop quite a reputation for his efforts using that material, according to Ken Denny and Joel Metz. 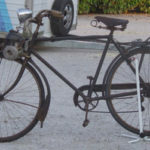 His timing, of course, was not propitious: only a few years later World War One began, devastating the land, youth and economy of Europe, and culminating in the Great Flu Epidemic of 1918, which killed more people — mostly young men — than the war itself. Topical sources tend not to mention either phenomenon, significant as they both were to the proud cultures of Western Europe. 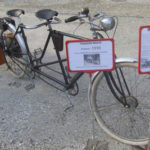 But one can imagine that, aside from the emotional torment and enervation they would have caused a Frenchman of the time, the resulting deficit of young men of sporting temperament, with so many killed or crippled by war and disease, may have had an influence on M. Caminade’s shift from producer of track racing machines to constructeur of highly-refined but more sedate derailleur bikes with racks and fenders. Certainly a more appropriate proposition for a sobered population whose median age had suddenly shifted upward and gender bias away from men. 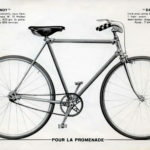 It has been suggested the technological advances spurred by the war, especially in metallurgy, inspired Caminade’s explorations into the new medium of aluminum alloys in his frames. 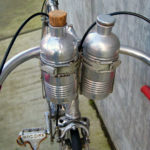 World War One was the first war to employ air power and aviation was necessarily an early adopter of light but strong metals. It is ironic what was then called — because of its unprecedented horrors — the “War to End All Wars,” instead inspired the best minds of its generation to focus their energies on guaranteeing future wars would be yet more horrific, and not too distant in the future. 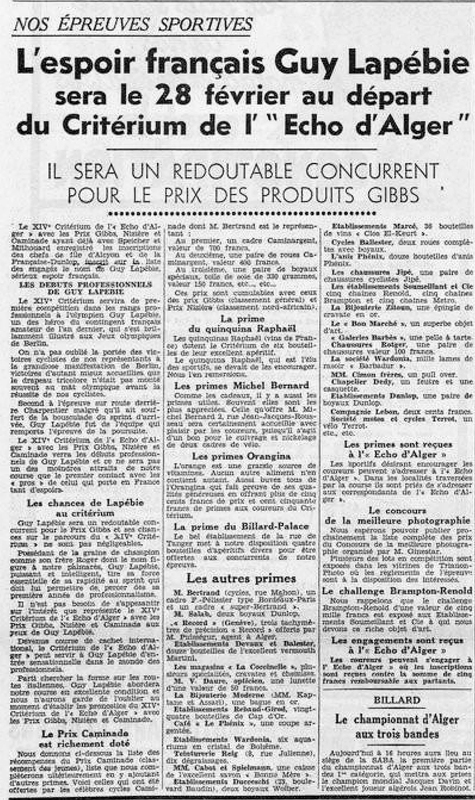 From 1918 to 1938 was a mere twenty years, but the advances in the machinery of war, particularly the airplane, and the invention of mass-production techniques, ensured the new generation of dictators and demagogues that followed in the wake of Versailles would be far more capable of spreading death than their predecessors, and would have no need of help from viruses. 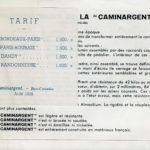 For Pierre Caminade, this was all in an unknown future. 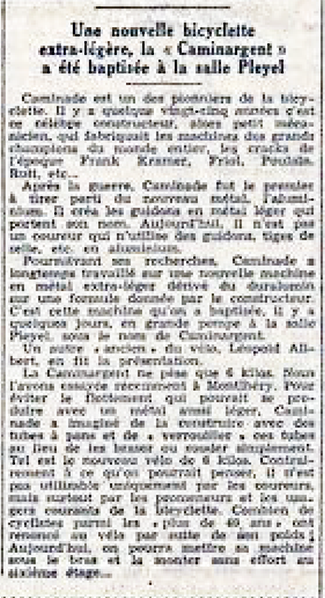 In the mid-nineteen thirties, he found himself enthralled by the new metal and, not incidentally, sponsored by the Societé du Duralumin — the French trade council for aluminum producers. 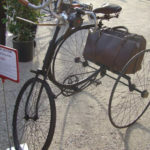 By 1936, he had designed and built functional bicycles that weighed under 6 kilograms: a little over 12 pounds! 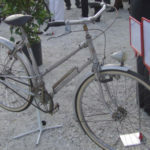 No slouch in the publicity department, Caminade arranged for press conferences complete with reporters and photographers to unveil the new bike and demonstrate how one could disassemble it with a single wrench. 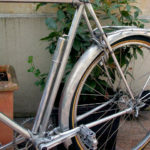 Indeed, the tubes were held in the aluminum lugs by bolts, and the entire bike could be taken apart in moments. 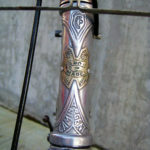 As an example of Caminade’s over-the-top design aesthetic (or perhaps just incredible nose for self-promotion), the bolt heads were decorated with the company logo. 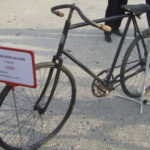 His exploits apparently landed him in the New York Times at what was only the beginning of a prosperous twenty-year run, though a record of this account has yet to be located. 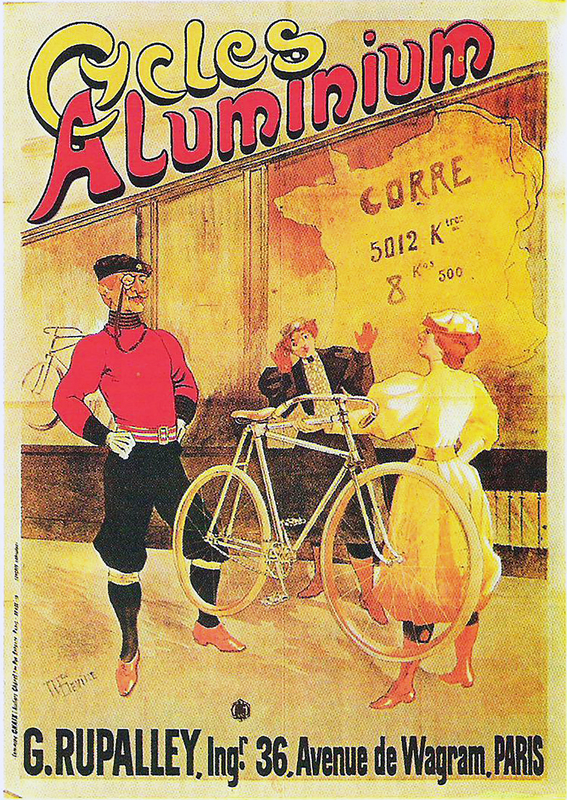 His handlebars were patented and Caminade ads claimed they helped many pros to victory on the road race circuit. 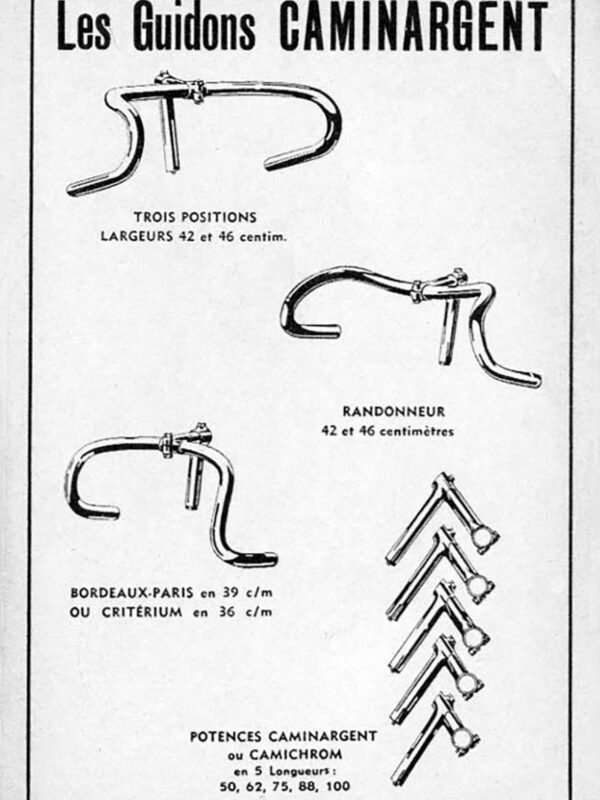 At least nine different handlebar designs were marketed, including racing and touring drops, two types of randonneuring bars, a “trials” bar similar to modern bullhorns and another one that was a variant of the moustache bar, an upright “comfort” bar, and a shallow drop bar called the “Three Positions.” Except for the Criterium bars, most were fairly wide: 42 to 46 centimeters. 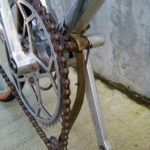 Caminade also had a derailleur design that operated quite unusually, with the chain remaining in place while the cogset moved across it. 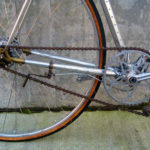 Leave it to a former track bike builder to worry about chainline to such a twisted extent! 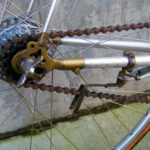 One version was even built to work with a double chainwheel, resulting in a six speed touring setup. 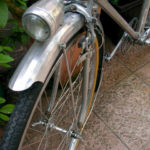 Early Caminade bikes — according to acclaimed expert Jan Heine — were remarkably light, though Heine notes that by 1951 the constant accretion of accessories had bloated them to a leaden 25 lbs. 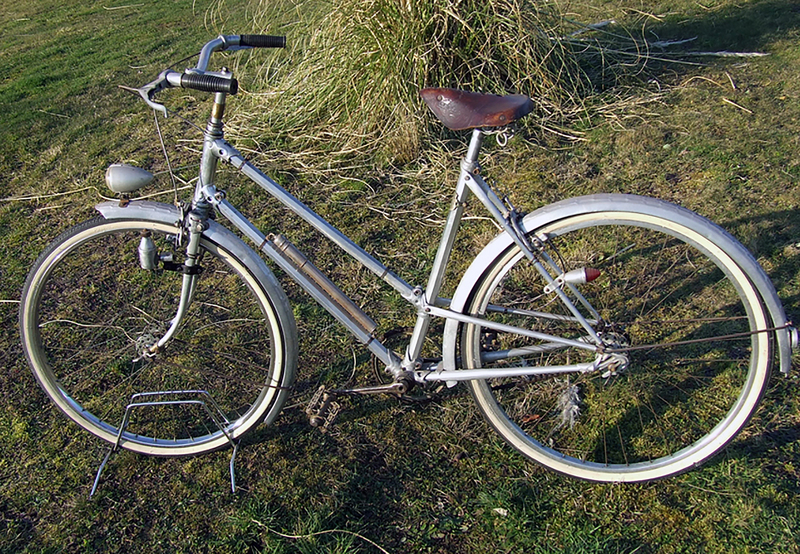 Which is not too bad for a fully-equipped cyclotouring bike, but which is not spectacular either. 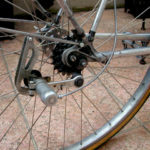 It remains a feat that can barely be replicated in our own day, with all the advanced technical resources now at hand. 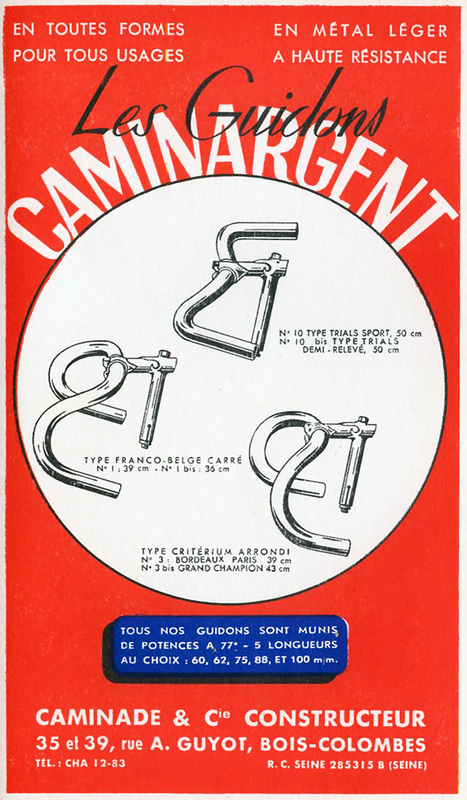 To know Caminargents were relatively affordable, too, makes them even more special. 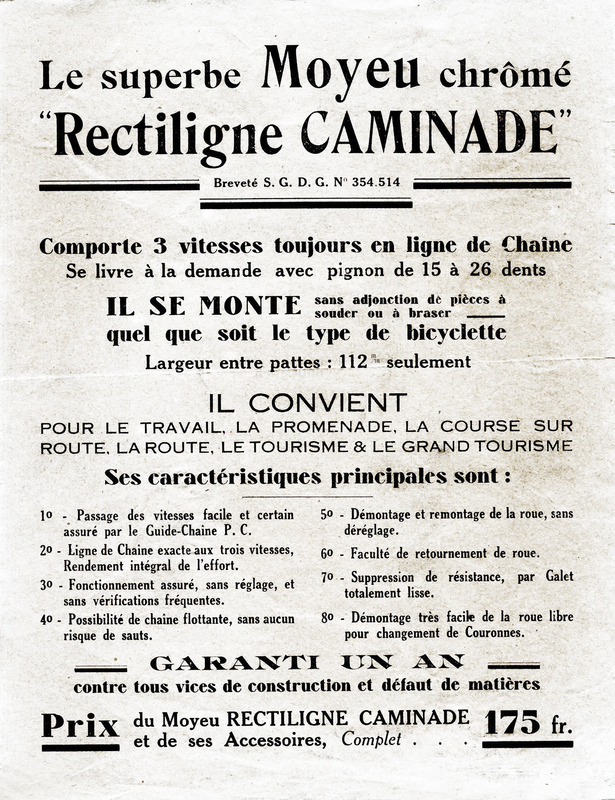 Unlike some other French cyclo-artisans of his era — Singer, Herse, Goeland, et al — Caminade is relatively unknown today; but he must have been a familiar name to cyclists during his peak years, even if they had never seen one of his distinctive machines, for M. Caminade appears to have been a sharp and relentless marketer. 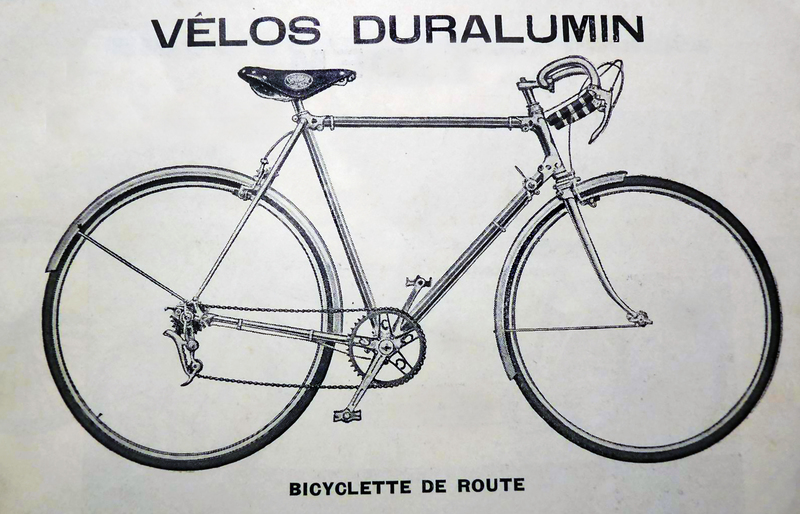 Begin with the name of his bicycle line: most Caminade velos were sold under the “Caminargent” moniker, a clever combination of words with multiple meanings. 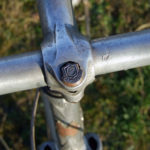 There was also his practice of embedding the company logo into the heads of the frame’s fasteners and of course there were the ads, which apparently were everywhere. 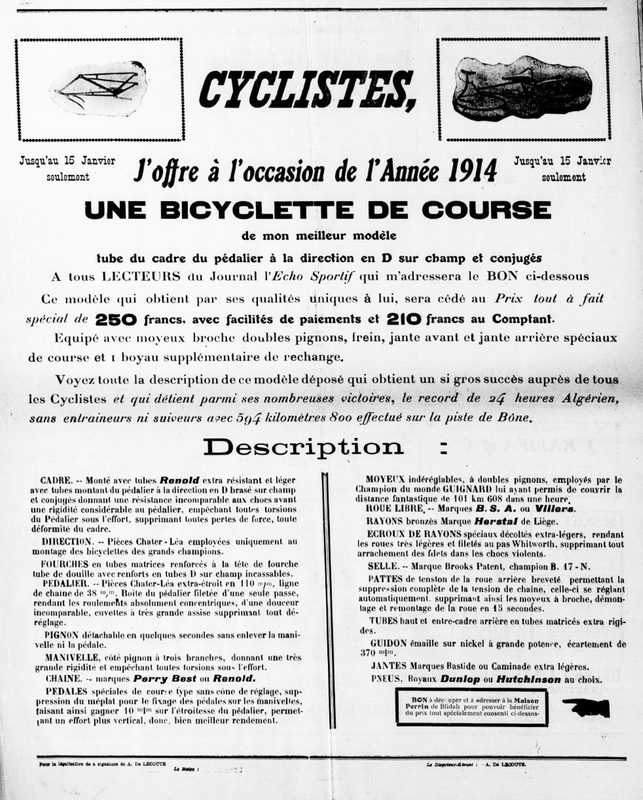 Joel Metz, indefatigable chronicler of French cycling, has posted copies of advertisements, articles and even a Caminade catalogue on his blackbirdsf site. 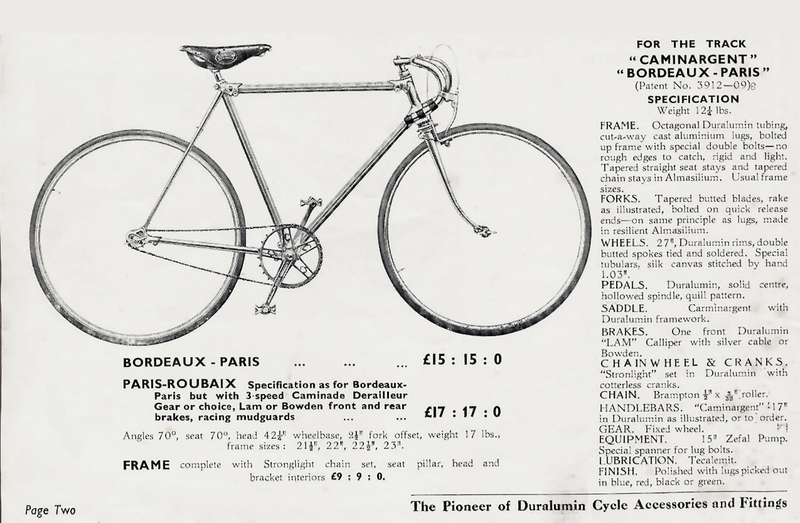 There are ads not just for complete bicycles but for handlebars, rims and bare frames. 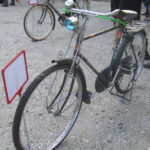 Caminade’s line of ready-to-rides was also quite extensive, including men’s and women’s (step-through) models in touring and racing versions (all, by the way, apparently employing the same two basic frames). 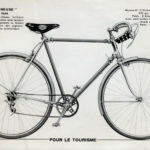 The ads make particular note the frames require neither welding nor brazing, and refer to them (playing on the “Caminargent” branding), as “Jewels of French industry.” The illustrations often depict cyclotouring specifications, with integrated fenders, racks, chainguards and lights. 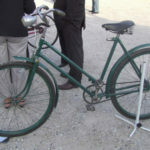 There was also an upright city bike charmingly called the “Dandy,” made especially for riding the promenade. 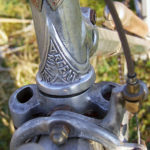 Metz’s site links to images of patents for everything from the frame construction method itself (unique to this day) to handlebars, stems and the celebrated “Rectiligne” derailleur. 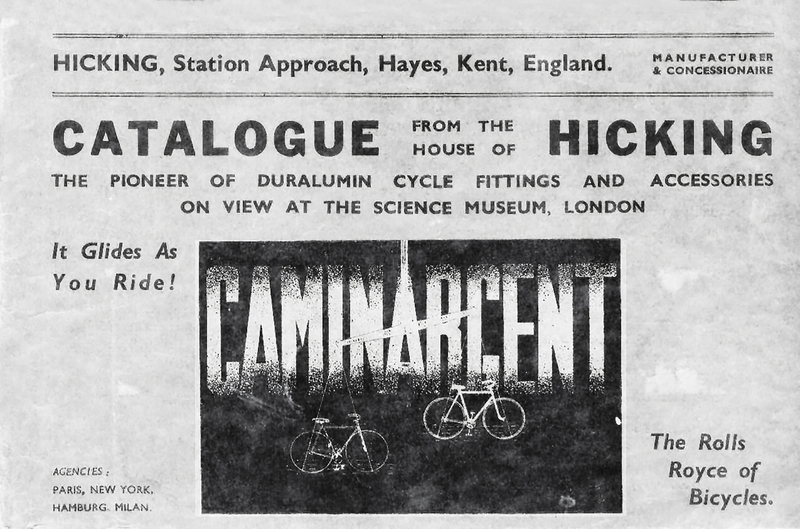 Caminade’s marketing was not just clever spin; he worked hard to develop the technology of the bicycle. 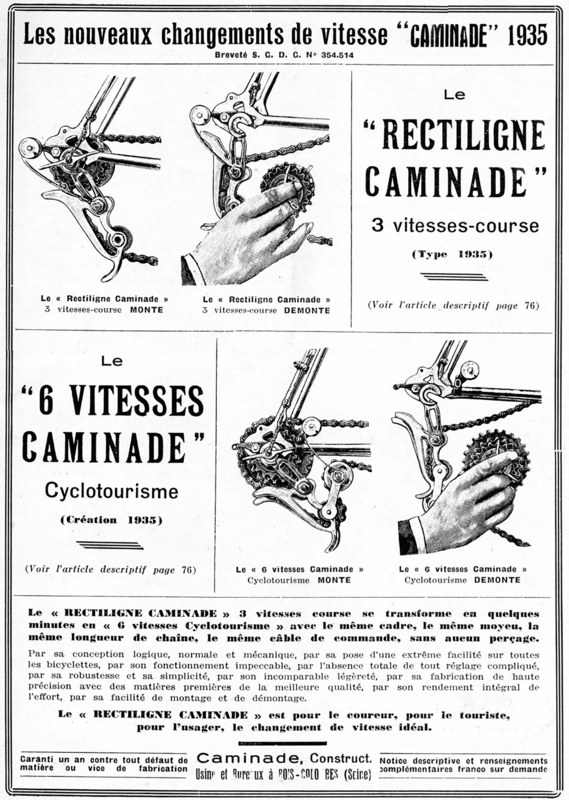 Getting the public to notice he was doing so, articles in French and British magazines praise the Rectiligne’s design, stressing the perfect chainline results in better power transmission and hence less rider fatigue. 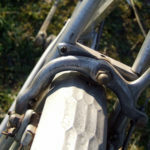 Another praises the “multi-tool” type wrench included with each purchase, allowing one to dismantle the frame if necessary. 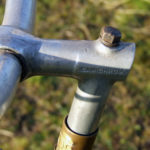 The same article also noted Caminade frames require little care, and should they become damaged replacement tubes were readily available for owner replacement. 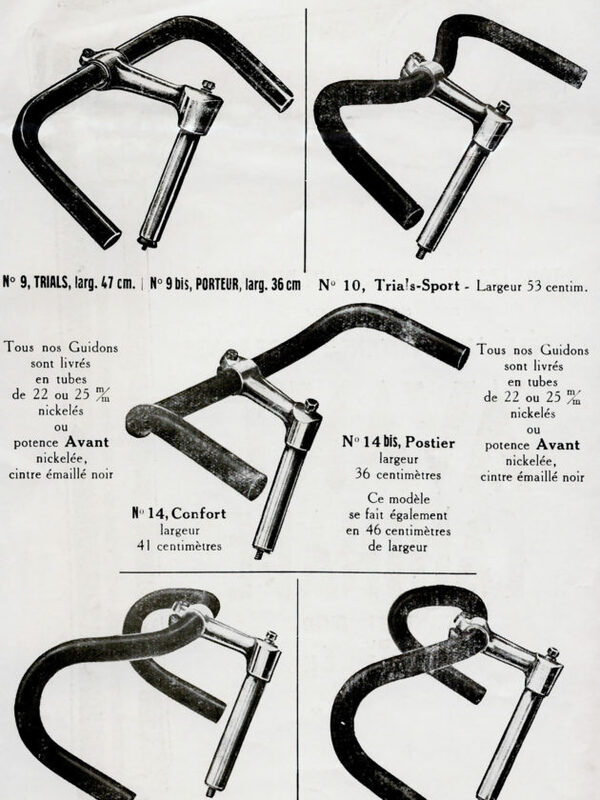 A 1936 article in Le Cycliste joyously suggests bike owners could convert their 3-speed Caminargents into 6-speeds with the purchase of three simple parts anyone could install without recourse to a professional mechanic. 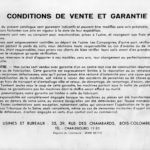 Pierre Caminade was clearly never one to avoid hiding his light under a bushel, but his light burned brightly and success came deservedly so. 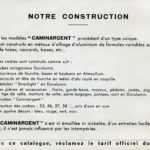 Caminade’s success lasted many years. 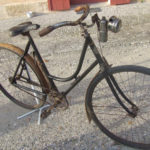 He steadily worked as a bicycle builder from 1910 till sometime shortly after 1951, when it appears he retired. 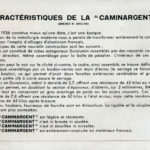 Caminade would have then been around 72 years old. 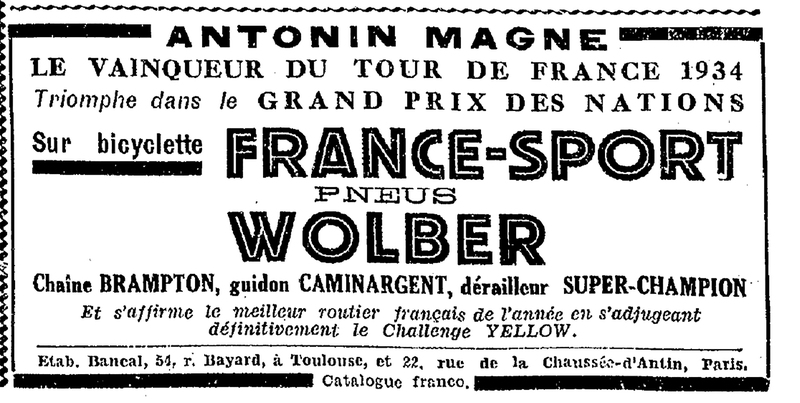 The marque seems to have retired with him — and without his innovations both technological and promotional — knowledge of the brand and its secrets seem to have evaporated from the cycling public’s conscious. 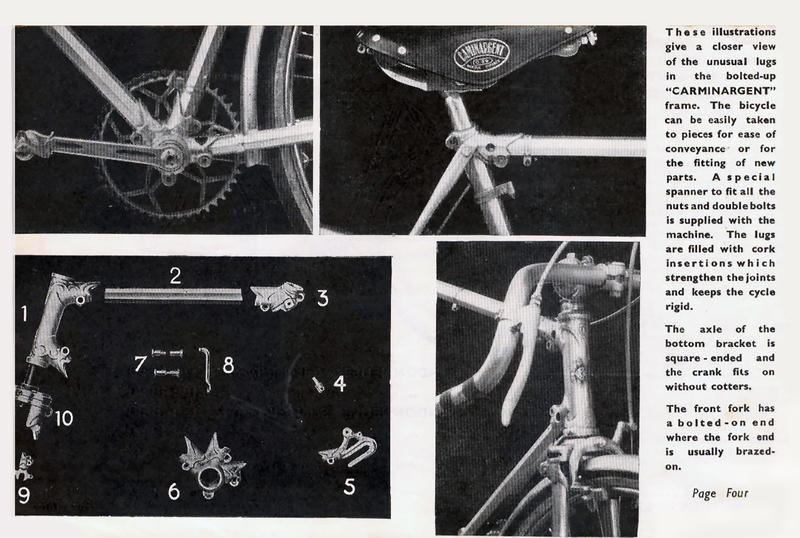 Meanwhile, what went around has come around again, with not only the aluminum bike making a grand comeback, but piecemeal frames as well, though this time glued rather than bolted. 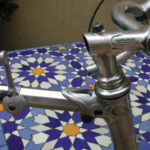 Present day bikes employing light-alloy technologies and modern construction methods are nowhere near as light as what M. Caminade was building between the wars, nor are they as easily serviced by their riders. 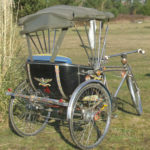 One feels that for all his focus on marketing, Caminade truly understood his buyers as riders and shared a profound connection with them in this way. 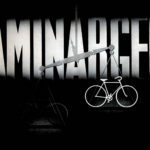 Today only bikes with carbon-fiber frames come near to matching a Caminargent’s lightness, though rarely approaching its durability or utility; and few of these expensive and delicate machines are ever meant to be tinkered with by their owners. 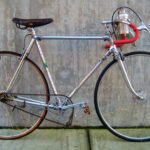 Rarer still is the bicycle capable of satisfying a customer looking for a twenty-something-pound bike fully equipped for a casual jaunt to a neighboring city, a full day away during iffy weather. Yes, history has repeated itself again, with the same old results. Yoyo has it right. 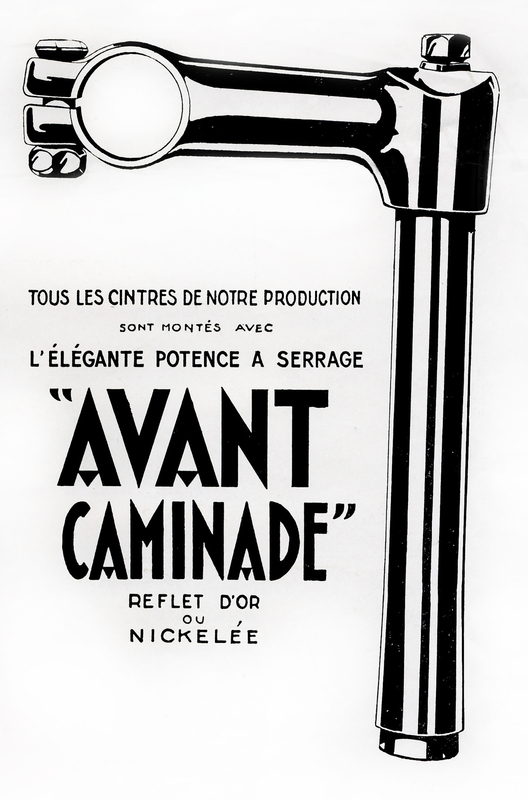 Caminade didn’t quite do it first, but he did do it best. 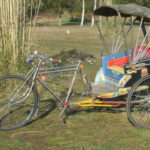 We owe them both the dignity of remembering all of us ride into the future on wheels of history — and another person’s efforts gave that momentum a great deal of energy before carrying us forward. 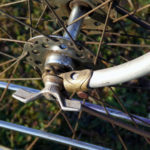 Just ask any clown on two wheels. 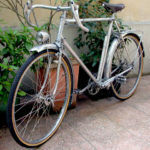 For a number of years I rode a bike as my sole transportation in Tallahassee, FL. The hills made riding a great lesson in geography and endurance. 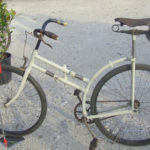 After my silver Nishiki was stolen in broad daylight (it was chained to a light post outside STrozier Library and someone walked up, clipped it free, and rode off…witnesses in pursuit but unable to catch up with the pedalling green bellbottomed theif, his long blonde hair flying in the breeze), I purchased a slightly used Bridgestone RB-2 from Tec’s Bike Shop. 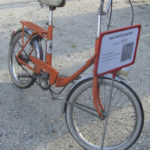 I didn’t have any knowledge of bikes, just wanted a light bike that was easy to manuvre in our town and traffic. 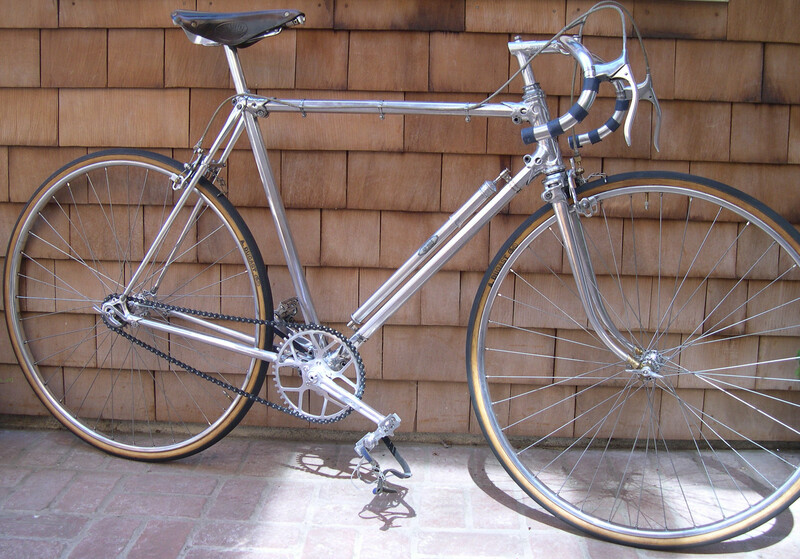 Flash forward… I move the RB-2 with me but rarely ride, except now and again on the St. Marks Trail. 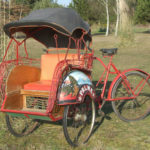 Now, I am gathering up money to grow further my current passion and business as a green cleaning consultant and coach. 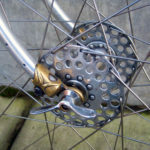 Can some of the folks at this website give me tips on how to go about pricing and selling my bike? I hope I can get enough to afford registration fees and materials to participate in some local green living expos and health fairs that are coming up — one at the end of this month. 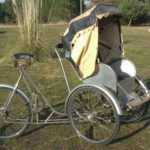 Happy, Safe Riding to All, and thanks for any comments or feedback! 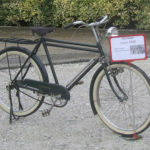 I WANT TO BUY THIS BIKE.CAN U HELP ME?